The family of one of at least seven UK citizens killed in the Ethiopian Airlines disaster said today they wanted to wake from “a bad dream”. All 157 passengers and crew died when the jet crashed in a ball of flames outside the capital Addis Ababa yesterday. The Boeing 737 Max 8 plane exploded as it nosedived into a field, just six minutes into the domestic flight to Nairobi. It comes five months after the same model crashed in Indonesia, killing 189. 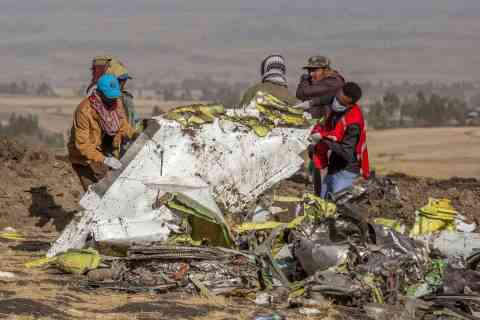 China and Ethiopia today grounded the 737 Max as a precaution while investigations continue. 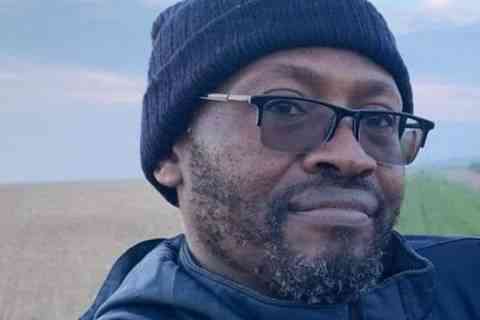 Father-of-three Joseph Waithaka, 55, a British dual national who lived in Hull and worked for Humberside Probation Trust before returning to Kenya in 2015, was named among the victims. He had been visiting family, including son Ben Kuria in Croydon and flew back to Africa yesterday. Mr Kuria described his father as a “generous” man who “loved justice”. The 737 is the best-selling airliner in history, and the Max, the newest version with more fuel-efficient engines, is a central part of Boeing’s strategy to compete with European rival Airbus. Boeing has delivered about 350 of the Max planes to many airlines and has orders for more than 5,000. The “black box” recorder for flight ET302 was recovered today. Alan Diehl, a former National Transportation Safety Board investigator, said reports of large variations in vertical speed during the aircraft’s ascent were “clearly suggesting a potential controllability problem”. Other possible causes include engine problems, pilot error, weight load, sabotage or bird strikes, he said. The jet was carrying passengers from 35 countries, including 8 Chinese nationals, five Germans, three Austrian doctors, and 32 Kenyans including the ex-secretary general of the country’s football federation. UN officials said at least 19 staff members were on board. British mother Sahra Hassan Said and her young son Nasrudin Abdulkadir are believed to have died in the crash. Also killed was Polar explorer Sarah Auffret, a Plymouth University graduate who lived in Norway. The French-British citizen was going to Nairobi to discuss plastic pollution at the UN assembly, according to her employers, the Association of Arctic Expedition Cruise Operators. Russian ex-model Ekaterina Polyakova was killed along with her husband Alexander Polyakov, a former Russian marine. Crisis teams remained on standby at Nairobi’s Jomo Kenyatta airport as families arrived. Screams and weeping could be heard as relatives were told the news. Principal secretary for Kenya’s department of transport, Esther Koimmet, said post-mortem examinations were set to begin today. A Foreign Office spokesman confirmed at least seven British nationals were onboard the flight and said embassy staff in Addis Ababa were working with Ethiopian authorities. Boeing said it did not intend to issue new guidance to customers, but “safety is our number one priority and we are taking every measure to fully understand all aspects of this accident”.